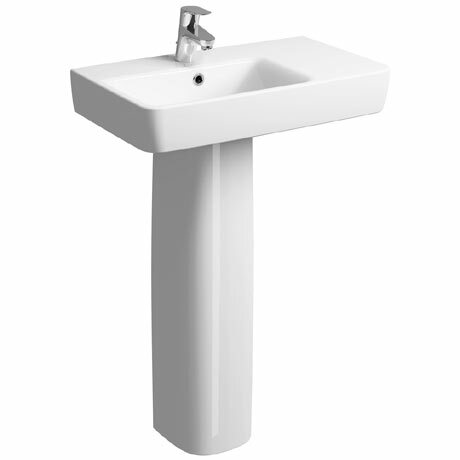 The Twyford E200 basin and pedestal features a short projection design ideal for smaller bathrooms. The integrated shelf provides excellent storage space for your bathroom essentials. Manufactured from high quality vitreous china, this practical and durable piece of sanitaryware creates a statement in any bathroom. Suitable for domestic and commercial use.